Nowadays, the fashion scene around the world has completely changed, compared to decades ago. Minimalistic, grunge, or urban chic, every part of the world has played a big impact on the industry. Back in those days, those who worked in the fashion magazine such as the editor and front row journalist always were the critical part of the industry. They would shape the trend, or how the perfect fashion would be in the society. However, the game has shifted. Instagrammer, fashion blogger, influencer, with a lot of followers on the social media, these people have been the main factor in leading the fashion trend. The personality has always been what people want to represent in the presence. 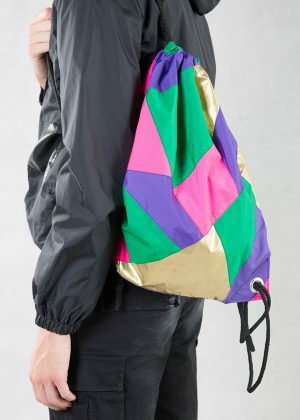 Inspired by the 80’s fashion vibe, this colourful designed windbreaker jacket is one of our best-seller products. Are you a fan of Bricklane or hip Londoner’s fashion style? Funky thrift shop fanatic? Vintage style obsession? 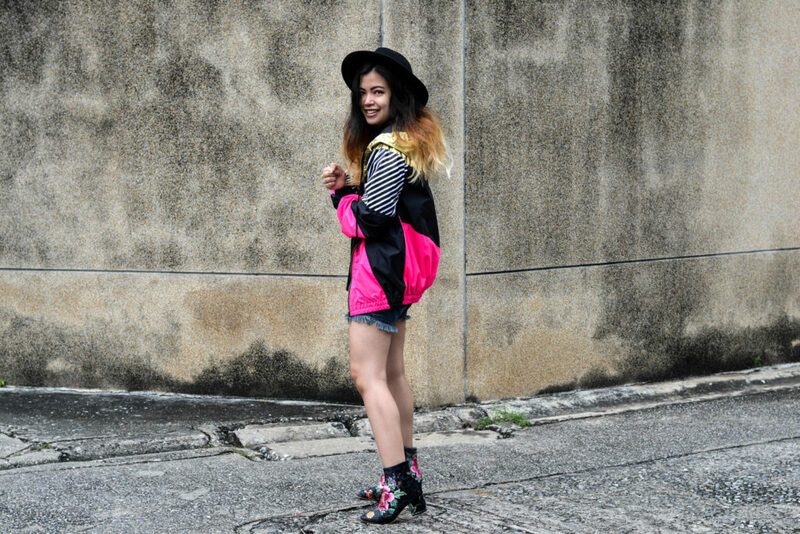 This is why I Love No Name’s windbreaker jacket can be the right piece of your choice. Don’t want to be like everyone else, or tired of following the runway trend? Here at I Love No Name, the place where you can find the individuality in every design. With these well-balanced, yet outstanding colours, our jacket can be the one and only choice of the vintage lover. 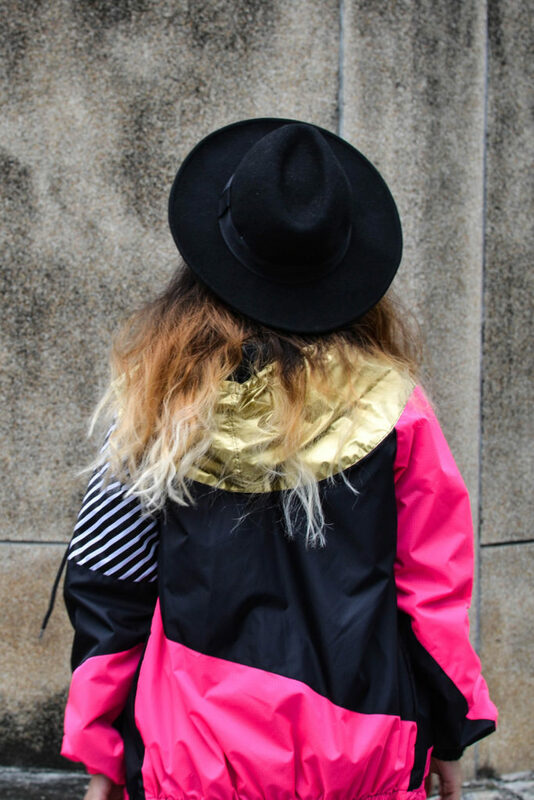 Made from the top quality 100% grid waterproof nylon, our jacket is exclusively designed for every situation. No matter what circumstances you may come across, this fashionable item speaks the creativity of our in-house design team. 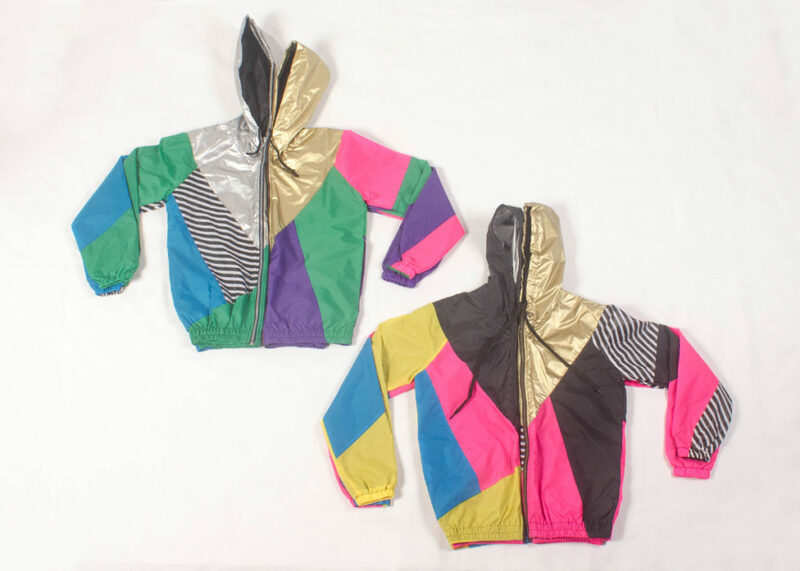 Because 80’s fashion is the call, the combinations of vibrant colours are the gimmick of the jacket. 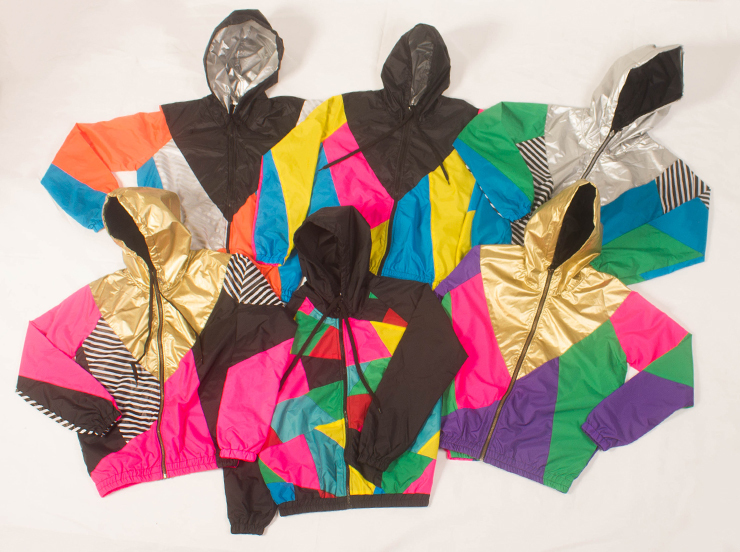 ‘Bold, cool and funk’ The three simple words, which represent I Love No Name jacket the most. 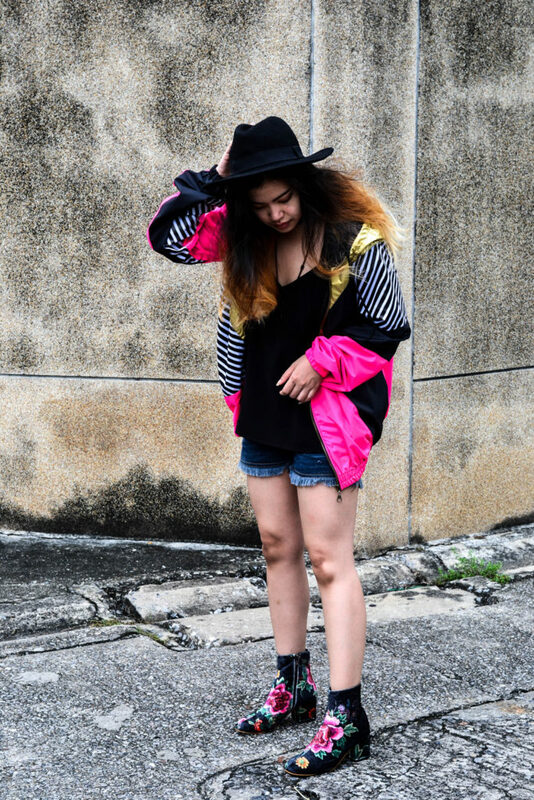 With the high-technology, fused with the vintage fashion trend, this irresistible windbreaker jacket comes with the waterproof gimmick which is not only effective in reality, but also versatility for every fashion style. No matter where you live, our jacket can be the go-to piece for the rainy day. As mentioned, the function of the jacket is also what we would like to represent. With the zip through and drawstring hoodie, the jacket also comes with an elastic sew in wrists. 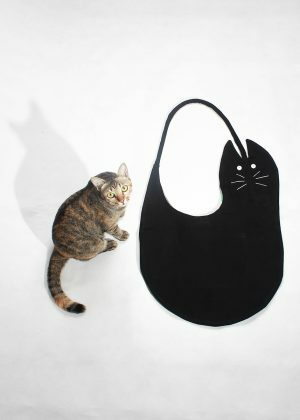 Plus, the fabric can absolutely provide the soft touch to the next level. How to mix& match the jacket? Simply pair with the track pants for the coolest trendy look. Why? Because comfort is the key, plus this is what the latest fashion trend is all about. However, if you want to elevate the look to be like an urban chic style, we would recommend matching the jacket with a pair of shorts and ankle boots for the street style look. Some may like it posh, but for us, street fashion is our ‘call’ We don’t have the specific words to describe the reason why we love it. However, we believe that no matter who you are, or what style you are stranding for, our brand, I Love No Name can be the right place for those who are looking for the creativity in individuality.